La Mesa Project: An Early Case Study - Lawrence Thompson Architects, INC.
"Showcasing conservation and passive solar"
The initial phase of this project by the Community Environmental Council (1973) on Miramonte Drive, Santa Barbara, show-cased passive solar systems, gray water reclamation, and a composting toilet, and was significant for the community and the State. 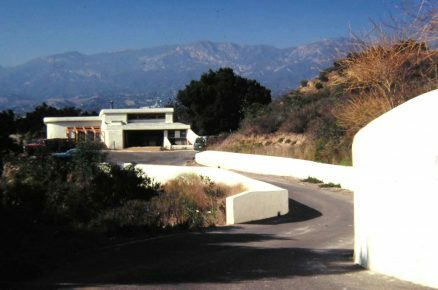 This project was the first "green" project in Santa Barbara, and used passive glazing arrays, including a green house element, to heat water columns and the concrete slab. Irv Thomas, consultant.